Emergency Medical Technicians (EMT) and Paramedics respond to emergency calls to provide efficient and immediate care to the critically ill and injured and to transport the patient to a medical facility. After receiving the call from the dispatcher, the ambulance crew will drive to the address or location given, using the most expeditious route, depending on traffic and weather conditions. Upon arrival at the scene of crash or illness, the team parks the ambulance in a safe location to avoid additional injury. Prior to initiating patient care, the crew will also "size-up" the scene to determine: that the scene is safe; the mechanism of injury or nature of illness; the total number of patients; and to request additional help, if necessary. In the absence of law enforcement, the crew creates a safe traffic environment, such as the placement of road flares, removal of debris and redirection of traffic for the protection of the injured and those assisting in the care of injured patients. The team determines the nature and extent of illness or injury and establishes priority for required emergency care. The crew renders emergency medical and or trauma care, to adults, children, and infants based on assessment findings. 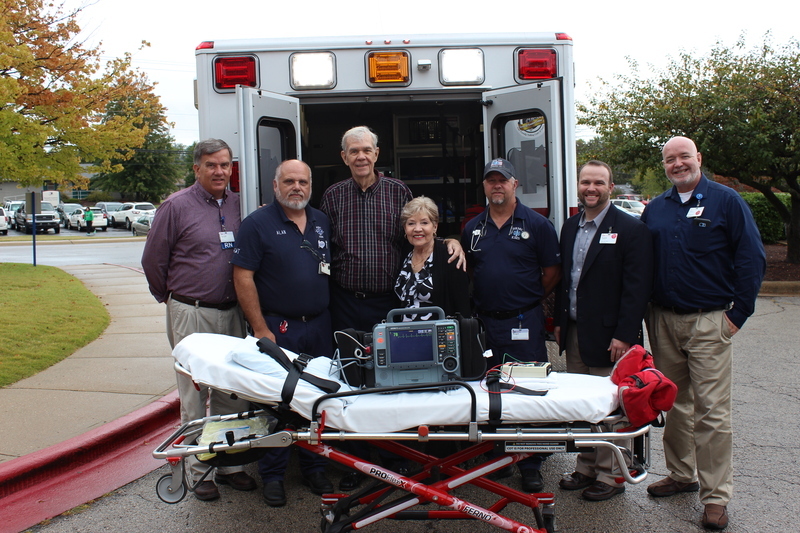 The BRMC Community Paramedic Program has been established to work in partnership with other healthcare agencies within Baxter and Marion counties. This partnership will help bring preventative health care to an underserved and at-risk population of patients. Patients that may benefit from this program are those that are at risk for hospital readmission, those who do not qualify for home health, chronically ill patients that require support in the home and patients who are identified as high capacity users of the 911 system and Cline Emergency Center. 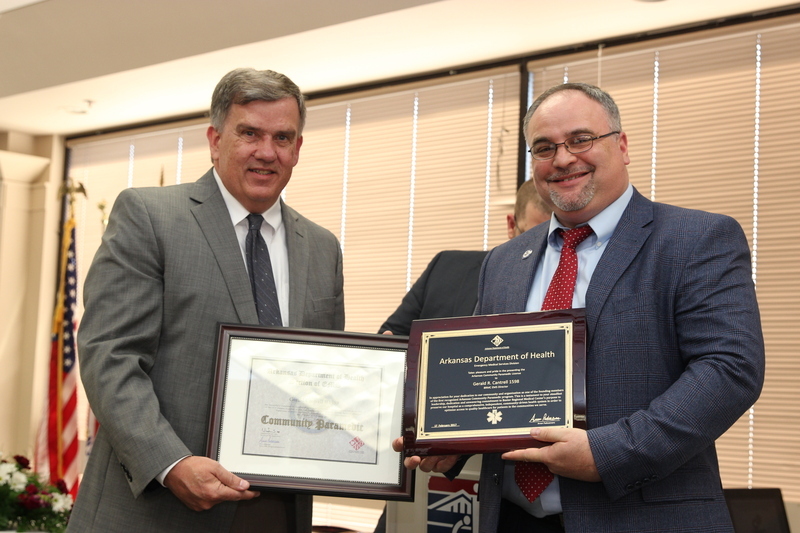 Baxter Regional began their Community Paramedic program in March 2013, as the first pilot program in the State of Arkansas. Working with the Department of Health Section of Emergency Medical Services and the Arkansas Ambulance Association, BRMC was able to develop House Bill 1133 to License the Community Paramedic Initiative, along with stakeholders from the Arkansas Department of Health, Arkansas EMT Association, Arkansas Board of Nursing, Arkansas Home Care Association, Arkansas Medical Board, Arkansas Hospital Association, and the University of Arkansas Medical Science, EMS Education Section.